Will this finally be Glenn Close's year to win an Oscar? WATCH Who will win the Oscar for best lead actress? The 2019 Oscars on Sunday could potentially fulfill one leading actress’ long-standing goal of landing a coveted award from the Academy. Glenn Close is up for best actress in a leading role for her performance in "The Wife," which is the 71-year-old’s seventh Oscar nomination. The nomination is her fourth for best actress. She was previously nominated for her performances in "Albert Nobbs," "Dangerous Liaisons," "Fatal Attraction," "The Natural," "The Big Chill" and "The World According to Garp." "Everything to do with this movie has been a total joy," Close said in a statement to ABC News at the time of her nomination last month. "Bjorn Runge is a great director! Jonathan Pryce is an inspired partner," the statement continued. "I’m so proud to be in a little film that has such great resonance with so many people. I’m especially proud to have shared the creation of this character with my beloved daughter Annie. So grateful!" In the Björn Runge-directed film, which is based on the 2003 novel by Meg Wolitzer, Close plays the wife, Joan Castleman, to a man who puts his career aspirations and interests ahead of her own. After her husband, Joe Castleman, who is played by Jonathan Pryce, wins a Nobel Prize for literature, Close's character, Castleman, starts to rethink her life and the relationship she shares with the man. Close's real-life daughter, Annie Starke, who played a younger version of Close in the film, congratulated her mother on Instagram for the remarkable nomination. "You deserve EVERY g------ award in existence... but especially THIS ONE. CONGRATULATIONS MAMA!" she captioned the post. Close drew inspiration for playing her character from some of her own life experiences. "In a big way, [she] was the mother that I observed my whole life who basically deferred to my father for everything and was diminished," she said in an interview on "Popcorn with Peter Travers". "He made her feel diminished. And she was not always happy," she continued. "And we actually thought she’d be happier outside of the marriage. And she was married in 1945 and she said, 'I made this vow and this is where I’m going to be.' But she was not a fulfilled human being, it was sad." The actress has already secured awards for her performance in the film. She tied Lady Gaga for best actress at the Critics' Choice Awards in January and won the Golden Globe for best actress in a motion picture, drama. Some critics are optimistic about her 2019 Oscars run. "Right now, she is among the frontrunners for that category," Emmy-award winning sports and entertainment journalist Chris Connelly told "Good Morning America" last month. Other contenders in the category? Yalitza Aparicio for her performance in "Roma," Olivia Colman for "The Favourite," Lady Gaga for "A Star Is Born" and Melissa McCarthy for "Can You Ever Forgive Me?" Despite impressive competition, Connelly believes she has a chance. "It’s a very strong performance," he said about Close in "The Wife." "She has been someone who people would have expected to have won an Oscar by now," he continued. Glenn Close is tended to by Michael Douglas in a scene from the 1987 film "Fatal Attraction." "She didn’t win for 'Dangerous Liaisons,' she didn’t win for 'Fatal Attraction' and both were outstanding performances ... plus she gave such a fantastic speech at the Golden Globes," he added. Along with not earning an Academy Award for these noteworthy roles, she also hasn't had the best luck at the Golden Globes, despite her recent win for "The Wife." She's earned 15 Golden Globe nominations throughout her career and only won 3 times, most recently for "The Wife," as well as for her performance in 2008 television series "Damages" and 2004 limited series "The Lion In Winter." 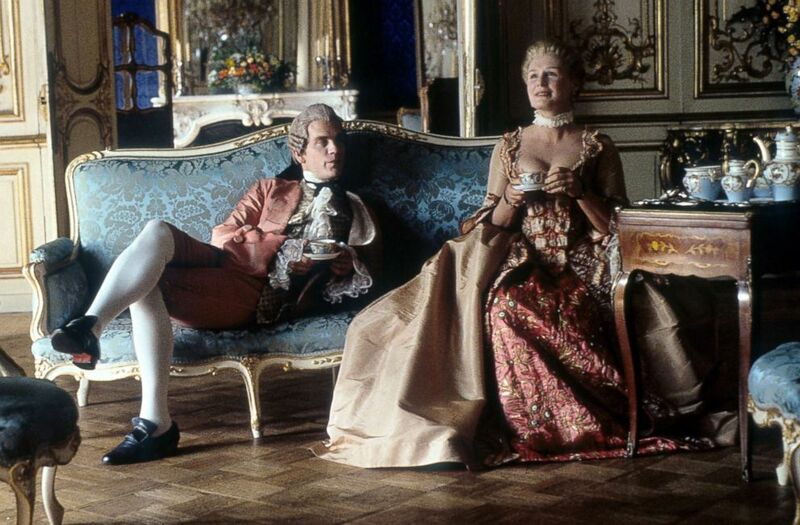 John Malkovich and Glenn Close having tea together in a scene from the 1988 film "Dangerous Liaisons." During her acceptance speech at the Globes in January, she spoke about how "The Wife" came together. "It took 14 years to make this film," she said. "It was called 'The Wife' – I think that's why it took 14 years to get made." She also delivered an honest reflection on roles of women in society, especially in relation to her latest role in "The Wife." "What I’ve learned through this whole experience is that women, we’re nurturers, that’s what’s expected of us," she said. "We have our children and we have our husbands, if we’re lucky enough, and we have our partners, whoever," she continued. "But we have to find personal fulfillment. We have to follow our dreams. We have to say 'I can do that and I should be allowed to do that.'" The Oscars will air live Sunday, February 24, 8e|5p on ABC.